To keep our commitment to quality, we have formulated a range of fire fighting safety equipment that safes your place from the impulsive fair damages. In order to prevent your life &assets from fire occurrences, we have designed dedicated range of fire fighting safety equipment. 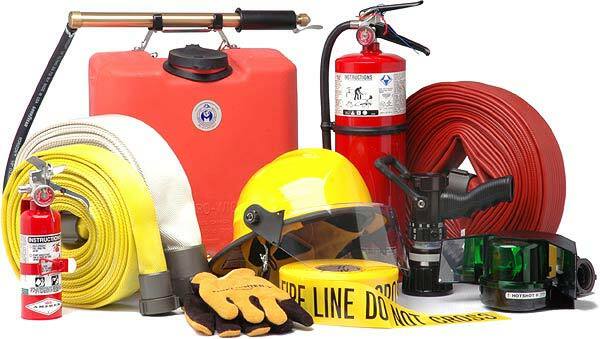 Our fire fighting safety equipment requires less maintenance and prevents your uncertain loses that take place due to fire. Further, we are willing to present a customized range of industrial fire fighting equipment for our prestigious clients. We have added our name in the list of topmost fire fighting equipment Manufacturer, Exporter & Supplier incepted in India. COFFCO is involved in providing innovative options to our clients through technological break-through in providing Fire Fighting Equipments. We manufacture different types of Fire Fighting Equipment to meet all of your requirements. COFFCO can supply Straight Through Valve, Right Angle Valve, Bib Nose Valve, Oblique Valve, Hydrant Valve, Pressure Regulating Valve and Air Release Valve. Breeching Inlet - Fire Brigade Connection or Breeching Inlet is available in 2-way or 4-way inlet. Shut-off Valve Nozzle - Available in different types. Its functions can be adjusted to any desired application such as Jet, Spray or Shut-off Valve. Made of Aluminium Alloy & Hard Plastic material.